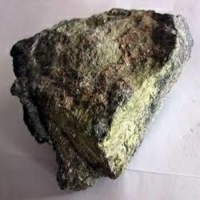 We can supply Nickel Ore from Indonesia Origin with specifications as under: Nickel - Min 1.7% (Basic) MC- Max 38% SiO2 - Max 48% MgO- Max 25% Fe - Max 10 - 35% Ratio - SiO2 / MgO about 2.0 - 2.30 (Reject 2.4) Terms: FOB, Mother Vessel/ Indonesian Port We can offer 50,000 MT per month against 30% Advance / 70% Payment against Bill of Lading copy. Short on time? Let nickel-ore sellers contact you. We are nickel ore supplier from north konawe, southeast sulawesi, indonesia. Please review our soft offer: -ni: 1, 85% rejection 1, 80% fob = 43usd/mtn (not include commission) -ni: 1, 80% rejection 1, 75% fob = 38usd/mtn (not include commission) -payment: l/c -trade term: fob indonesia port -quantity:50, 000mt to 100, 000mt/month -origin: indonesia -loading rate: front to stock file jetty around 3 km, and from jetty to mv: 1-1, 5km -loading port: konawe utara -others content: sio2: 40-45%, fe: 15%max, p: 0, 01%max, s: 0, 02% max, mgo: 20-25% max. Nickel ore 1.8-1.7 US$55 by LC US$55. Stable supply, supply up to 100, 000 tones/month. Port Kolaka, Sulawesi Indonesia. 50, 000 mt per vessel. 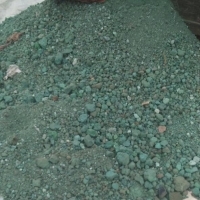 We are selling nickel ore : 1.Ni 1.8-1.75 2.Ni 1.8-1.7 3.Ni 1.7-1.6 Payment by cash FOB MV 541. / Usance LC Qty: - / + 50rb MT / monthSo if you seriously want to buy nickel ore please send us official LOI and draff contract complete data bank . Ni content: 1.9 % Reject 1.8 % (below 1.8 % rejection but not include 1.80%) SiO2: 45 % max Fe (ferrum): 18 % max (above 20 % rejection) P: 0.01 % max (above 0.01 % rejection) H2O: 30 % max (above 32 % rejection) Name: Nickel Ore Packing: In bulk Origin: Indonesia Loading Port: Tambea’s Open Sea, One Safe Anchorage, Southeast Sulawesi, Indonesia Stockpile and Barge Jetty: One Safe Anchorage Tambea’s Open Sea, Southeast Sulawesi, Indonesia The approximate coordinates of the Ship’s anchorage point is: Longitude: TBA Latitude: TBA Loading Rate:6,000mt PWWD SHINC. 1. price nickel ore 1.9%:US$80 (cash), 1.8%:US$79 and 1.6-1.7%:US$65 (all item is cash at place) 2. Please send to us your LOI with your price request. 3. delivery system is FOB Vessel or barge 4. Nickel Ore origin from midle sulawesi (pomala'a) of Indoensia. Minimun required (MOQ) is 50.000 MT/month for long contract (mimimum 1 year). We can serve until 150.000MT/month. NI or,$.060.00,00/m.ton NI land for mining joint operation 007.00,00 Ni or /m.ton. Ni or 55000.m.ton(fecel) Ni land 55000 m.ton (fecel). Nickel ore from mining south east sulawesi-indonesia. We able supply 60.000 mt/month and long term contract 7 years up. We have area mining of 2.450 hectare specification ni 1.7 up . Bulk in mother vessel.